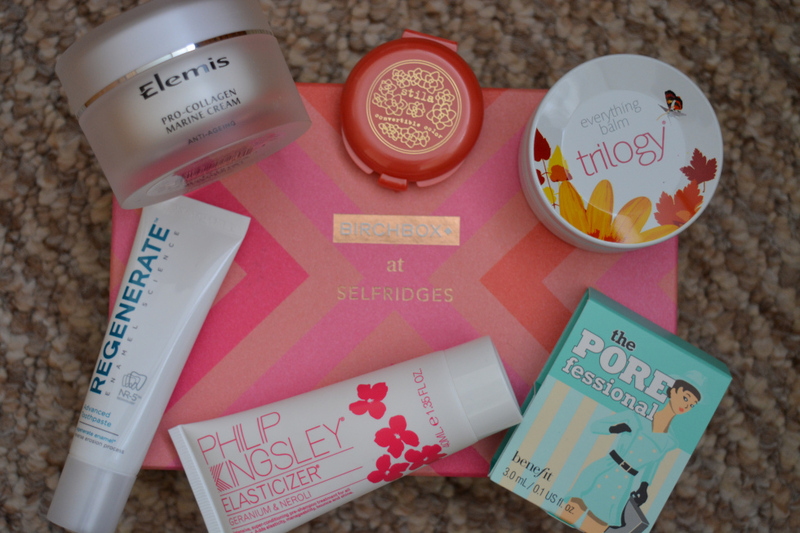 A couple of weeks ago whilst I was in London I decided I had to go to Selfridges to built my own Birchbox. Being a big beauty lover I could not resist going and already knew I was going to struggle to decide what to put in my box. I absolutely loved the layout of all of the products and it was really cool being actually able to go around choosing what goes in your box from a list. They should definitely make a permanent Birchbox shop in London as it would 100% be popular and it would be very unique. I have wanted to get my hands on some Elemis products for a long time, however, they are a bit far out of my price range. 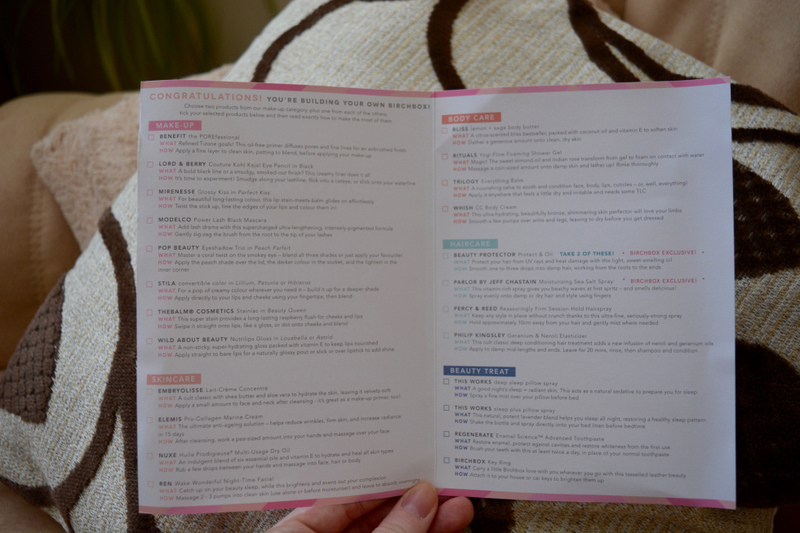 I was really excited to see Elemis was one of the products they were doing for the exclusive Birchbox at Selfridges. The cream is worth £50, which is a bargain considering you only pay £15 for the box and it is well worth getting. I choose it as my skincare product as it is meant to help firm skin and increase radiance in 15 days. I definitely will be reviewing this soon so keep your eyes peeled. Benefit is one of my all time favourite makeup brands, which is why it had to be in the box. I have had POREfessional numerous times and it is the best primer I have ever tried. I have worn the primer on busy days at work and my makeup has stayed on all day without looking like a sweaty mess. Stila is a brand that I haven't really tried much of and thought this was the perfect opportunity to try something else. This product is really versatile as you can use it as a blusher or a lip colour, I can see myself taking this on a night out and being able to top up on two aspects of my makeup. I think it is great, small and does not take up much room at all! Winter is fast approaching and September so far has been an awful month with lots of rain. The everything balm can be used to help hydrate your face, body and lips!! Forget dry skin skin, hopefully this will be the solution to all my problems this winter. I have heard many good things about Philip Kingsley and I am really looking forward to seeing if it can help with hair dryness. It is a deep conditioning hair treatment and is recommend to be left on for 20 minutes. The packaging is also different to the original Elasticizer and I'm loving the cute pink flowers. It was actually the Birchbox sales assistant who helped me make the decision with choosing this product. They explained that it helps to restore enamel and is the first toothpaste of its kind. The description says it protects against cavities and helps to restore whiteness from the first use, considering I absolutely hate the dentists I am willing to try anything that will keep my teeth healthy. 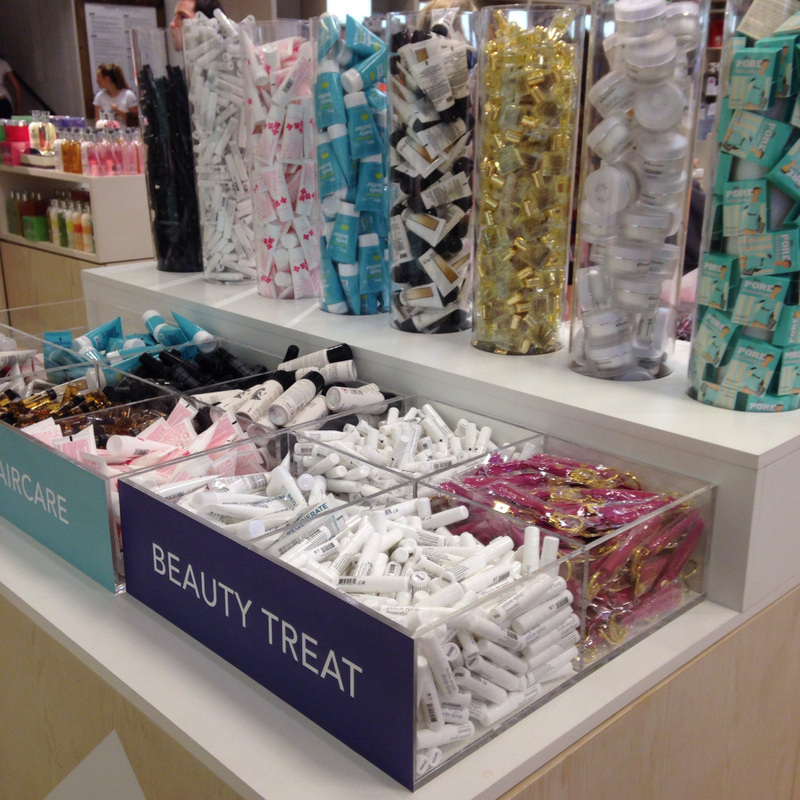 Birchbox have since changed over the products in Selfridges and have another batch of goodies for you to pick out to try. 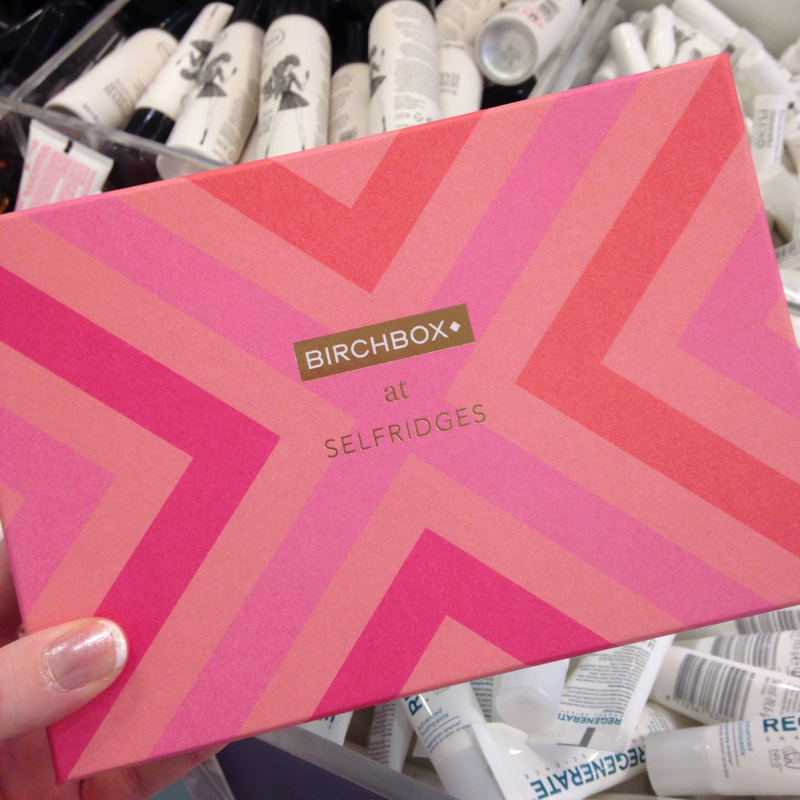 Birchbox at Selfridges is on until the 27th September, so make sure you go and check it out!! It is seriously amazing and I'm really sad I can't go to get a second box.